In this article, I am going to tell you the real truth. 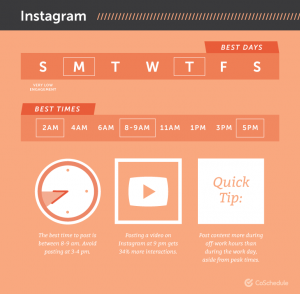 The truth that few, if anyone is talking about when it comes to the topic of when the best time to post on social media is. I’ve read countless of articles, seen numerous infographics and visuals that all show “when the best time to post on social media is”, platform by platform, and I am so tired that nobody is telling the real truth about best times to post on social media. Or, more correctly, I am not tired of them saying things that aren’t correct, but I am afraid that people will believe it and follow the information blindly. Now, it doesn’t necessarily have to be that the people who are talking about the best times to post on social media are lying, but it can also be that they are misinformed, or are a bit behind of the quickly evolving landscape of social media. This is why I am not writing this article to bust anyone or give anyone a hard time, but instead, I am writing this article to give you the correct and unspoken truth about the best times to post on social media, you won’t go around wasting your efforts on something that just doesn’t work. Back in the days, most social media platforms were run by the time when it came to sorting content in your feed. In other words, for the vast majority of social platforms, the most recent posts from the people you followed was displayed at the top and the oldest at the bottom. And as you can guess, the reason why the time you shared a post was important for one reason: visibility. When social media was just a baby, there weren’t a lot of content being produced, and therefore, there wasn’t any real competition to get people’s attention and get your content seen. As long as you had great content and made it possible for people to find you, you’d go a long way. But in today’s social landscape, it’s a lot different. But what they didn’t factor in was the fact that more and more of people’s attention was being put there. And no matter where people’s attention is, marketers trade on it. And even though social media gained quite a lot of it after just a year or so, many didn’t realize that they could find the attention of people there. But as social media, in general, its user base quite significantly, the competition got tougher. But when it comes to saturated social media landscapes, it is something that has evolved in just the latest couple of years. The reason? 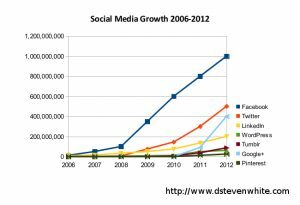 Social media is growing at a faster pace than ever. 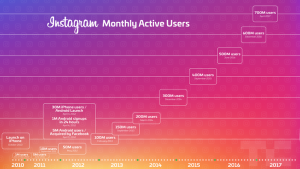 Instagram has doubled its user base to 700 million monthly active users in just two years. Instagram’s growth rate is speeding up. It took just four months to add the last 100 million users since hitting 600 million in December, while it took six months to go from 500 million to 600 million. And only changing your mindset does a lot for understanding what really drives attention and eyeballs in today’s social media landscape. Becuase the problem with the belief that there is an ultimate time to post, which there was back in the days, is that people experiment, do tests, have stopwatches etc. to know exactly when they should post. This, of course, takes their focus and attention from something else, less important. Or, dare I say it, completely irrelevant. Today, social media success is not only about the number of followers you gain. Today (fortunately), more and more brands and people are starting to realize what truly drives success: engagement. If you think about the reason why people timed on the second when they were going to post for maximum engagement, it’s nothing strange about it, really. When you posted, your post ended up at the top of their feed. This means that if they logged in at that very second, they’d get your post at the top, and wouldn’t be able to miss it. What’s more, every single piece of content that someone you followed shared was displayed in your feed. So if they shared multiple posts, yours would get buried deep down, and the user simply wouldn’t have time to scroll through them all, and ultimately miss a bunch of posts. And this is what time research and time planning prevented. It was the whole idea and reason behind why “best time to post” studies, guides, and tutorials were born. The only catch is that certain things tend to clench on, even if the preconditions change. Even if it doesn’t really work anymore. With that being said, does that mean the time of which you share a social media post on doesn’t matter? As you can see, it’s clear as ice that certain days and even certain hours drive far more engagement if you post at those times. As I mentioned earlier, they do a tiny notch, but the thing is, “when the best time to post on social media is” are highly individual, and this is why it’s so misleading to look at these kinds of studies, because they’re not accurately showing your posts and when they perform the best. Just to get it out of the way, the time of which you make a post on social media has a very little effect on your post’s engagement and reach, but that doesn’t mean you should ignore it. Because in the competitive landscape of social media, every little drop of engagement and reach counts. Today, you need to first realize that the vast majority of social platforms (of course with a few exceptions) are run by a so-called algorithm. As you probably know, the posts in your feed/home page on top social platforms like Instagram, Facebook, Twitter, and Pinterest aren’t presented in a chronological order. They’re not presented with the most recent posts from people you follow at the very top, and the oldest posts far down on your feed. Instead, the posts you see are presented based on relevancy. Relevancy in the eyes of the algorithm. And to be frank, it is the algorithms that have the biggest effect on how well your posts perform on social media. Not the time that you post, as it used to be. If it would like, it can hide your post for everyone, keeping it from generating any engagement or reach. Just to make sure that I am not creating any misunderstandings, just because the algorithm has a huge impact on how your post performs, doesn’t mean that it is the only thing that decides how well it performs. Instead, there are lots of approaches and methods you can use to tweak and improve your content so that the algorithm likes it, and then favors it with a broader reach and higher engagement. And to do so, you first need to understand how the algorithms work, in more detail, and what you can do to boost the engagement of your post. But more on that later. As mentioned in the beginning of this article, there have been lots of studies and tests made on when is the best time to post on social media. Hootsuite’s result was very similar to the one above. 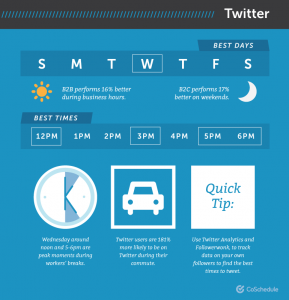 They found that there is no secret recipe to when the best time to post on social media is. They concluded that it was all depending on your target audience, goals, and overall strategy. 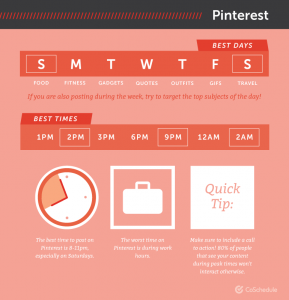 All of this affects when the best time to post is for you. The studies found and presented “best times and days” to post on social media, but they also showed in their conclusion that they are well aware of the fact that few people are: there is no exact time to post because it depends on so many factors. Before we can understand how we can generate the best possible results, as well as the reason to why the time of which you share a post isn’t as important as it once was on many platforms, we need to understand how the social algorithms work. Obviously, all social platforms have different algorithms that work in different ways, however, they all have quite a few things in common. Let’s wind back the time a few years to understand how the algorithms came about. Back in the days, most social platforms had a chronological feed, as mentioned earlier, and that was fine because little content was being created, so people had the time to view the posts that were new in their feeds. But then, as more and more people started using social media, more content was also being produced, which meant people weren’t able to keep up with the content in their feeds. In fact, according to Instagram, people miss on average 70 percent of their feeds. And as if that was staggering enough, according to Facebook, on average, there are 1,500 stories that could appear in a person’s News Feed each time they log onto Facebook. For people with lots of friends and Page likes, as many as 15,000 potential stories could appear any time they log on. And obviously, it’s impossible to consume all that, and as a result, the algorithm was born. The different algorithms vary a bit, but now, posts that are several hours old can be displayed at the top of your feed, and post that are minutes old can be presented at the bottom. The leading word for the algorithms is relevance. When you understand that, you can tweak your content in order to make it more relevant, thus get more engagement and reach. There are several hundred ranking factors that the algorithms are using, but some are obviously more important than others. WIth quality content and relevancy being at the top, the time of which you share your post is more towards the bottom. However, it is not completely insignificant. The main ranking factor that the algorithms use is relevance, and to rank your content based on relevance, the algorithms look at your previous interactions. if you’ve interacted a lot with a post on a certain page, the algorithm is more likely to present content from that account at the top of your feed. Second, the algorithms are looking at engagement and the pace of which that engagement comes when deciding how to rank a post in someone’s feed. In other words, the faster your post receives engagement, the better it will rank because when people engage with a post, it shows that it is high-quality and relevant. Lastly, when it comes to the timing when you post, it is not completely insignificant, as mentioned earlier, however, that is not to say that you should completely remove it from the equation. Obviously, the algorithms don’t want to present week old or even days old content at the top of someone’s feed, because if they do, there’s a risk that that content will be irrelevant to the user. For example, what if I announce a giveaway that only runs for two days, and then my giveaway post ends up in someone’s feed after two days. It will be completely irrelevant, and the user experience will be harmed – something that the social platforms are working incredibly hard to prevent. Therefore, you need to research when your best time to post is, but I’ll go more into detail on that in a minute. As mentioned earlier, the time you share a post isn’t as crucial as it was back in the days when it comes to engagement and reach. Before the algorithms, posting at the wrong time could drive you half or even less than half of the engagement that you usually would get. In other words, it had a huge impact on how your content performed. 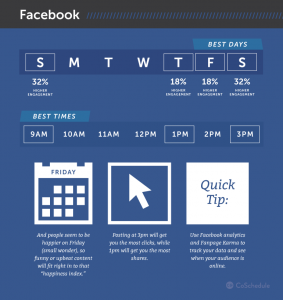 You should not completely ignore the times of which you make a post on social media today, but you should have another approach than looking at an infographic and then blindly following the times they recommend. Why and how I’ll go more into detail in further on. A huge mistake you can make on social media is to assume that just because you post something, you’re going to generate amazing results, and you’re going to reach your entire audience. But that is only possible in a dreamland – and when social media was just a baby. Social media is tricky, because as more and more users come, there will be more and more fights for people’s attention, and as a result, the algorithms will be even more aggressive. In other words, if you share a post today, it can get buried amidst newer posts throughout the day, preventing your audience from seeing it. So, when is the best time to post for you? There are a lot of factors that affect when the best time is to post, but some secret, magical “ultimate times to post” that goes for everyone, there is not. The biggest factor to look at is your target audience. Obviously, the algorithms have a lot to say here, but not everything. The first way to find out which the best times to post for you is, is by looking at your previous posts. Because you do know that the best way to predict the future is to look at the past? Go through a bunch of your posts on the platform you’re using and look at your top performing posts, as well as when they were posted. Obviously, there will be other things that affect how well a post performs than the time it was posted, but usually, you are able to see some kind of trend and correlation between your best performing posts and when they were posted. From this, you can draw the conclusion that that is the best time to post for you. Note that all platforms are different, and each social media platform has different peak times and downtimes to take into consideration as well, so what you need to do is look at each social platform to see which is the ultimate time for just that platform. Since the algorithms don’t necessarily present the content that was posted just recently, it has a smaller importance on when your audience is most active on the respective platforms, compared to before the algorithms. However, since the algorithms want to present relevant content in your feed, a ranking factor they have is actually when your post was shared. LinkedIn: Company pages generic analytics and tracking for each post. So the time you share a post on social media isn’t as important anymore, as a result of the social media algorithms, so what can you do instead to boost your engagement? It’s very basic, really. If you can create high-quality content that your audience loves, your posts will receive a higher engagement, and when your post receives more engagement, the algorithms will see this as a sign that your post is high-quality, and reward it with better visibility and higher reach. In other words, if you have low-quality content, you’ll be in constant fights with the algorithm, trying your very best to get a few eyeballs on your posts. However, if you share high-quality content that your audience likes, you can actually get the algorithms to do your marketing for you. The time of which you post doesn’t come anywhere near the importance that the post itself has. In fact, a study found that about 95 percent of your social media success is posting appealing, high-quality content that your audience loves, and “posting it at the right time is only 5 percent. It’s clear where you should spend most of your efforts, but of course, you should always strive for the ultimate amount of engagement, and therefore, you should not completely ignore the times that are the best for you to post. 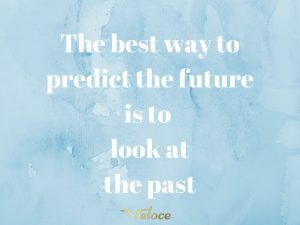 The best part about this is that you can look at the past to learn about the future here as well! Simply go back to your latest posts and look at the ones that generated the best results. Do they have anything in common? most of the time, they do, and this means that you should be posting more of that type of content as it will boost your engagement. The truth about when the best time to post on social media is, has been a widely discussed topic ever since marketers started realizing the potential of social media in marketing, and started asking how they could generate better results. 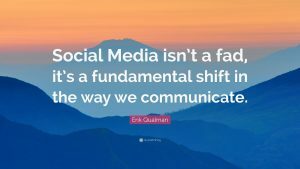 But the thing is, the time you share a post on social media has very little importance today, a lot less than it used to have, yet still, people seem to be living in the old days where the time you shared a post could be the difference between success and complete fiasco.